Our prime back bacon is unsmoked and rindless and is what we like to call "supertrim" meaning that it is very lean. 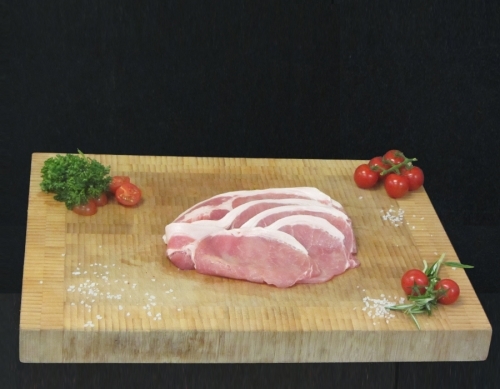 We pack our bacon in 5 lb (2.27 kilo) packs so that we can offer you fantastic savings. Ideal for home freezing.